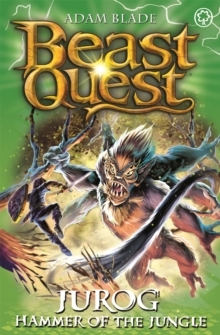 Battle Beasts and fight Evil with Tom and Elenna in the bestselling adventure series for boys and girls aged 7 and up!Ria the pirate is using a terrifying monkey-Beast to destroy the forests of Makai. She wants the timber to build a fleet of new ships. Can Tom and Elenna stop Ria's latest wicked plan before she attacks Avantia?There are FOUR thrilling adventures to collect in this series - don't miss out!